JALGAON DEVOTEES HOLD SECOND ANNUAL ONE-DAY WALK. 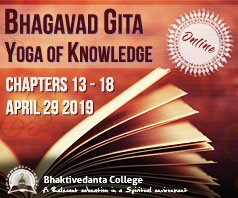 By Caitanya Jivan dasa, President ISKCON Jalgaon. The All-India Padayatra has been walking through India distributing the holy names for so many years. Taking inspiration from them, the Jalgaon devotees in northwest Maharashtra arranged last year’s inaugural one-day padayatra. 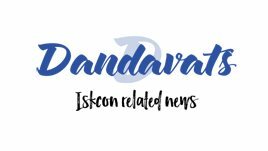 Seven months later, during the 2018 Vyasa-puja of Lokanath Maharaja at Pandharpur dhama, the All-India Padayatra coordinators placed banners across the town in appreciation of the organizers of padayatras that had taken place in Maharashtra. When the Jalgaon devotees saw their photos displayed on the banners they immediately became inspired to arrange a second walk. After consulting the Jalgaon congregational members, the date for this year’s padayatra was set for January 20 with a proclamation of the event circulated through newspapers, banners, pamphlets and social media. 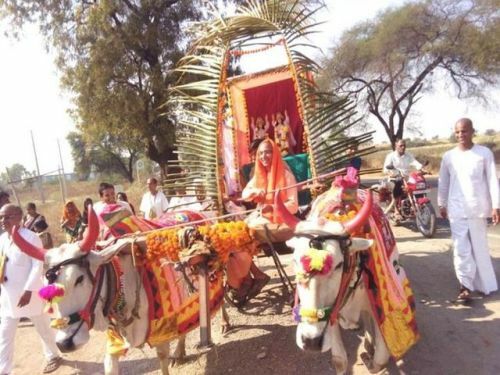 Preparations continued for a month and on the eve of padayatra the Bhaktivedanta Academy for Culture and Education (BACE) youths decorated the oxen cart with flowers and two devotees brought the beautiful Sri Sri Gaura-Nitai deities from Nasik for the occasion. Padayatra began at 8am from the Pimprala Nam Hatta preaching center and halted shortly after, as per last year’s schedule, at the Gujarat petrol pump on National Highway 6 where we performed maha-arati while awaiting the arrival of those participants joining us there. By 8:40am we were all ready to march. Having walked a short distance, we then rested and honored breakfast prasadam at the house of a local devotee. At 10:30am we continued the procession of what was building to 250 devotees and interested Jalgaon residents, completing the 14km padayatra about 2pm at ISKCON’s new Manayarkheda Temple where we were welcomed with garlands and sankirtan. Padayatra was blessed with the association of senior brahmachari Asimkrishna dasa from Mumbai and Solapur temple president Parthasarthi dasa, as well as devotees from Erandol, Pachora, Muktai Nagar, Bodwad, Shelwad and Pimprala who served throughout the blissful event. The services performed by devotees included those of pujari, preparing prasadam, bullock cart decoration, leading sankirtan, traffic control, arranging advertising, seeking legal permissions, organizing transportation, and presenting a lecture. The padayatra procession was complemented by a simultaneous book and prasadam distribution and continuous harinam sankirtan. The book distribution score was eighty Bhagavad-gitas and sixty small books and the padayatris distributed khichadi and sweets prasadam to about 1500 people. Our padayatra was a success due to the skillful direction of my assistant, Balarama dasa, and the vigor of the devotees, each one seeing it as their own project and working hard to ensure a positive outcome. Just as last year the BACE boys again deserve credit, with special acknowledgment of Vrajprem dasa from Bodwad and Dhanvantari dasa from Muktai Nagar. Padayatra is the holy walk which fills us with enthusiasm. It’s a festival making everyone busy and bringing devotees closer to each other. It is the best way to spread the holy names. People come out of their houses and eagerly join us in chanting. It requires hardly anything to begin a padayatra – a couple of devotees, a cart, and passion. I would like to request all temple presidents to organize at least one padayatra a year – and mark my words, once you start you will never feel like stopping. That’s the special mercy of Lord Gauranga.